Even if you don’t travel frequently, you’ve probably been tempted to sign up for a travel loyalty program or a travel rewards credit card. It’s a lot easier to save for your next vacation when every airline ticket you buy or credit card purchase you make earns miles or points that can be redeemed for free or discounted travel. Miles-based travel rewards programs help millions of budget-conscious airline travelers, who collectively redeem billions of miles every year. However, for the uninitiated, travel rewards programs can be fearfully complex. In 2013, CNN reported on a Collinson Latitude study that found 40% of British frequent flyer program participants never redeemed their points. The study didn’t identify every factor contributing to this under-utilization, but Ideaworks’ 2015 Switchfly Reward Seat Availability Survey hinted at a possible cause: Many airlines keep huge swathes of their total seat capacity off-limits to loyalty program participants, imposing restrictions such as blackout dates and premium seating to frustrate the redemption process. Some airlines and loyalty programs are much better on this point than others. For instance, whereas the Switchfly survey found that airberlin and Southwest Airlines made 100% of their seats available to loyalty program participants, LAN and Avianca both “blacked out” more than 50% of their seats. Seat availability is just one metric to watch when evaluating miles-based rewards programs. Also important are the dollar value of miles at redemption, taxes and fees not covered by miles, and miles’ lifespans (expiration dates), among other factors. Before joining any miles-based rewards program, thoroughly read its terms and conditions, and compare its advantages and drawbacks to comparable programs. What follows is a high-level overview of the basics of miles-based travel loyalty programs, including the big differences between the two major types. Use this as a guide for further research into the complicated but rewarding realm of travel rewards. The original major miles-based rewards program type is known as branded – or “traditional” – rewards. These programs are generally tied to specific airlines or airline alliances. In many cases, miles can be redeemed for flights with the issuing airline and numerous partner airlines, often on a global basis. Traditional programs are rarely (if ever) managed by credit card issuers or banks. Instead, they’re run by the airline itself, or by a special subsidiary created for that purpose. 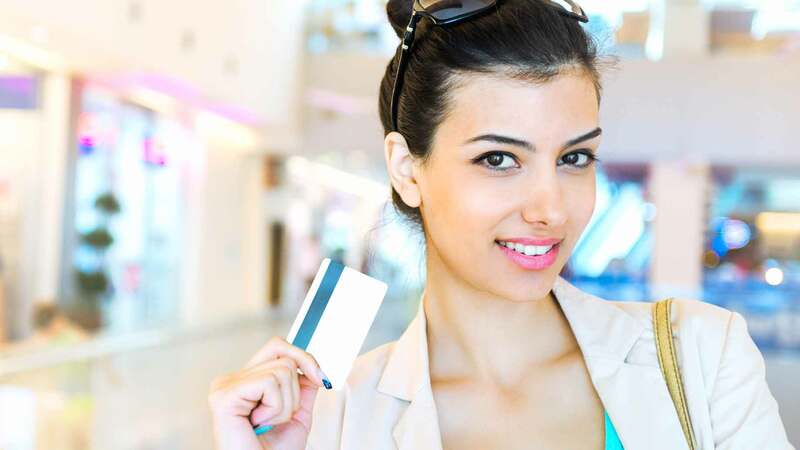 However, traditional loyalty programs are frequently associated with credit cards that earn miles on some or all purchases – such as Gold Delta SkyMiles® Credit Card from American Express, which uses American Express’s brand and can be swiped at any merchant that accepts American Express. It’s worth noting upfront that traditional miles-based rewards programs can be wildly complicated – their terms and conditions guides often run dozens of pages and are subject to frequent updates. This is a drawback for casual or infrequent users, but can be a blessing in disguise for frequent, dedicated travelers willing to take the time to learn how to squeeze the greatest value from their miles. It’s almost always free to join and maintain membership with a miles-based rewards program. To sign up, you usually just need to complete a quick online application that asks for basic personal information, such as your full name and address. It’s worth noting that many travel rewards credit cards, such as the United MileagePlus Explorer Card from Chase, automatically sign up new cardholders for the associated rewards programs. In other words, you don’t have to sign up separately for the rewards program. If you have good to excellent credit and therefore qualify for travel rewards cards, definitely consider applying for one if you travel frequently (or plan to in the near future). When you purchase airfare with travel rewards cards, you can earn miles faster than you would through cash or non-travel card airfare purchases. Travel rewards cards also earn airline miles on non-airfare purchases, and sometimes accelerate your progress toward higher membership and status tiers. Most programs use status tiers to identify prolific, brand-loyal travelers. When you sign up for a program without applying for an associated credit card, you almost always start at the lowest status tier. If you travel often or far enough, or spend enough on airfare, you achieve progressively higher status levels. The four status tiers of Delta SkyMiles’ Medallion program offer a good illustration of this concept. Note that you can sign up for SkyMiles for free, without opening a credit card, but you need to meet the respective thresholds specified below to qualify for each status tier. Each tier confers progressively more generous benefits – some luxurious, some more practical. For example, Delta Gold Medallion members (and above) get priority security line access and unlimited complimentary first class upgrades on award travel, while Delta Diamond Medallion members automatically get a complimentary Delta SkyClub individual membership. You become eligible for tiered benefits as soon as you clear the qualification threshold and remain eligible through the following calendar year. However, rules (and program structures themselves) can vary between airlines, especially outside the United States. If you’re interested in a particular airline’s status program, take the time to read the fine print or check with the airline directly to avoid surprises. As a way to bypass sometimes onerous airfare spending requirements, some higher-end travel rewards credit cards, which usually charge annual fees, automatically qualify their holders for a higher status tier, or provide a head start toward qualifying for higher tiers – for instance, by awarding a certain number of qualifying miles per year without requiring travel purchases. One of the best ways to earn airline miles is to use a program-branded credit card, such as Gold Delta SkyMiles from American Express. These cards typically earn miles through airfare purchases at an accelerated rate, as well as through non-airfare purchases at a rate of at least 1 mile per $1 spent. Most major airlines’ rewards programs have at least one associated consumer credit card, and many have business credit cards as well. These cards usually earn loyalty miles on every purchase, either at a flat rate (for instance, one or 2 miles per $1 spent) or at variable rates based on categories (for instance, 2 miles per $1 spent on airfare and restaurants, and 1 mile per $1 spent elsewhere). 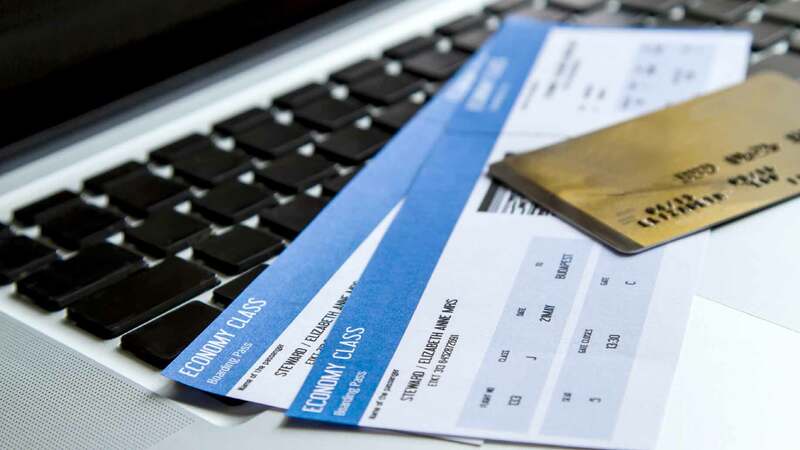 Credit card airfare earnings typically accrue on top of regular airfare earnings, provided you book with the airline itself and not a third-party booking site. Many loyalty credit cards also offer substantial mile bonuses at sign-up. These sign-up bonuses can add hundreds of dollars in redemption value to your account. Most airline rewards programs also have a network of merchant partners. Popular merchant categories include restaurants as well as other forms of travel, such as hotels, car rental companies, and rail lines. Earning rates vary by merchant type and program, but are typically lower than baseline earning rates for direct airfare purchases. As a loyalty program member, you also earn miles whenever you purchase airfare with the airline. You don’t have to use a branded credit card to earn miles through airfare purchases, as long as you provide your membership number or other identifying information when you complete the purchase. When you purchase airfare, the number of miles you earn is based either on the total flight distance or the price paid for the ticket. The three largest U.S. airlines – Delta, American, and United – all calculate miles earned based on the ticket price and the member’s status tier. For instance, regular Delta SkyMiles members earn five SkyMiles per $1 spent on airfare, while Diamond members earn 11 SkyMiles per $1 spent on airfare. Airlines that belong to global alliances typically award miles on partner airfare as well, though often at just a fraction of the normal earning rate, depending on fare class. For example, SkyMiles members flying Air France earn miles at 25% of the normal rate in the lowest economy class, but 100% of the normal rate in business and first class. SkyMiles members flying Korean Air earn at 50% of the normal rate in economy and 100% of the normal rate in business and first classes. Pro Tip: The above ratios are for example purposes only. They’re subject to change – all travel loyalty program terms are, unfortunately – so you should definitely check with your carrier before making any assumptions. In many cases, you don’t have to book directly with the airline to earn miles. If you book through a third-party platform such as Expedia or Priceline, you’re prompted to enter your loyalty program membership number at checkout, and points accrue to your loyalty account at the normal rate. Many airlines also allow you to buy loyalty miles without a corresponding airfare purchase. For instance, Delta offers SkyMiles for purchase at a flat rate of $0.035 per mile. Note that the “face value” of purchased miles is usually different – and lower – from their redemption value. Unlike fixed-rate miles, traditional miles don’t have a steady redemption value. For this reason, they’re sometimes referred to as “arbitrary currency.” Basically, they’re worth what the airline says they’re worth, based on a bevy of factors including fare class, route distance, route demand, and time of year. Most traditional airline loyalty programs divide their service areas into geographical regions, such as countries or continents. Routes wholly contained within a particular region, such as domestic U.S. flights, usually require fewer miles (in absolute terms) than longer or international routes. However – and this is extremely important to remember – miles typically have the highest value when redeemed for higher fare classes on long international flights. The difference can be huge. Whereas a short-haul domestic flight might have a per-mile redemption value on either side of $0.01, a long international flight could have a per-mile redemption value of $0.04 or more. Here’s an example: On a random mid-May weekday, an economy one-way flight from Chicago to Los Angeles costs as little as $179 (five separate flights that day, scheduled for different times, cost that amount) and requires 12,500 Mileage Plus miles. That values each mile at $0.0143 – a solid rate. An economy one-way from Chicago to Paris, scheduled for the same day, costs $855 on Turkish Airlines (a Star Alliance partner) and requires 30,000 Mileage Plus miles – valuing each mile at $0.0285, a much better rate. Most airlines also divide their service into fare classes, most often economy, business, and first class. Fare classes can be further subdivided – for instance, United Airlines has “saver” and “standard” distinctions for each class. As the name implies, “saver” tickets require fewer miles than “standard” tickets. Class upgrades – economy to business, business to first, and so on – are also assigned mile requirements based on region and fare class. Redemption values for upgrades also vary based on the flight distance and the flight’s actual dollar cost, as well as other factors such as the original fare class. In addition to mileage redemptions, upgrades sometimes require co-pays – cash payments that range from less than $100 to several hundred dollars, depending on flight distance. When accounting for factors such as fare class, the differences can be truly dramatic. For instance, a first-class seat on the same mid-May weekday Chicago-to-L.A. route described above costs between $378 and $1,888, depending on which of the five flight times you choose. That’s a difference of anywhere from $199 to $1,709, compared with the $179 economy seat price. An economy-to-first-class upgrade always requires 20,000 miles on that route, plus a $75 co-pay, which values the upgrade miles at anywhere from $0.0062 to $0.0817. Pro Tip: This is a random example from a fare search I personally conducted. Don’t expect to get these exact fares on Chicago-to-L.A. or Chicago-to-Paris flights. Your fares might be better – or worse. Most airlines publish award charts that list the miles required for each route category and fare class – United Airlines’ MileagePlus Award Chart is a representative example. Before you book, check the chart. If your airline doesn’t publish an award chart, visit the airline’s online booking portal and search for your desired travel dates and times to get a sense of how many miles each route type and fare class require. In most cases, you need to redeem directly with the miles’ issuer, typically on an online booking platform (for instance, Delta.com) or by phone with an agent. If you don’t have enough miles to cover the full fare, you may be permitted to use a combination of miles and cash, provided you’ve reached a minimum miles threshold. Taxes, surcharges (such as for fuel), and fees (such as the U.S.’s September 11 security fee) also need to be paid in cash, so even a fully funded ticket requires a credit card to complete the purchase. These costs vary widely by airline and region – budget U.S. carriers such as Frontier tend to have the most reasonable fees, while high-end international airlines such as British Airways tend to be much more expensive. Keep these fees in mind as you decide how to redeem your miles, and remember to factor them into your calculation of their final redemption value. Check your program’s terms and conditions for an overview of its limitations and restrictions. Delta SkyMiles is generally seen as more generous with regards to redemption options (because it belongs to a major airline alliance) and class restrictions (it has relatively few), while Frontier Airlines is regarded as a laggard in many departments, particularly its lack of partner options and the fact that miles expire after less than a year of inactivity. Many airline loyalty programs allow you to transfer (convert) miles to and from other travel loyalty programs – not just those of airlines, but hotels and rental car companies as well. Hotel and rental car companies often refer to their rewards currency as “points,” since they’re not directly tied to distance. A word of caution: Conversion ratios vary widely, so it’s important to understand the approximate value of the two systems you’re converting between. Depending on the value of the miles and points involved, it often makes sense to exchange your miles for a smaller number of relatively valuable points, instead of a larger number of lower-value points. Program Membership Is Usually Free. It usually doesn’t cost anything to sign up for and maintain loyalty program membership. That’s good for infrequent travelers, though many programs close dormant accounts after long periods of inactivity (typically 12 months or more). Membership Status Tiers Confer Additional Benefits. Airlines incentivize frequent travelers to remain loyal with membership status tiers. Each tier confers progressively more attractive benefits, from perks such as priority boarding and waived baggage fees at the low end, to luxurious benefits such as free airport lounge membership at the high end. Frequent Travelers Often Earn at Outstanding Rates. The most popular U.S. branded airline rewards programs favor frequent, loyal travelers. Delta, United, and American all reward their highest status tier members with more than 10 points per $1 spent on airfare – more than double the earning rate for regular members. For example, United’s highest status tier members (Premier 1K members) earn 11 MileagePlus miles per $1 spent on airfare, and thus need to buy just four $300 flights ($1,200 total) to earn free domestic one-way coach fares (12,500 miles). Can Usually Buy Additional Miles. Traditional loyalty programs often allow members to buy additional miles, though not always at great rates. Still, this adds flexibility, particularly for travelers who don’t qualify for complimentary class upgrades, but wish to upgrade nonetheless without paying out-of-pocket at purchase. Miles Can Be Worth More on Longer Flights and Higher Fare Classes. Airline rewards miles are almost always worth more, on a per-mile basis, when redeemed for longer flights or higher fare classes. If you’re patient enough, flexible enough, and travel often enough to save the requisite number of miles required to fly business or first class to international destinations, you’re likely to realize value that’s simply not attainable on domestic flights – and bring luxurious experiences for which you’d never pay out-of-pocket within reach. For instance, not many people can afford to spend $10,785 on an American Airlines first-class one-way from New York to Dubai. The same flight requires 155,000 AAdvantage miles, valuing each mile at just under $0.07 when redeemed. By contrast, an American Airlines first-class one-way from New York to San Francisco – one of the longest continental U.S. routes available – costs $1,118 on the same day. However, that flight requires 55,000 AAdvantage miles for a free first-class seat, valuing each mile at only $0.02. That’s still better than redemption rates on most American Airlines domestic economy flights, but nowhere near what’s possible on longer first-class flights. Overall, the potential to achieve amazing redemption values is a key selling point of branded, variable-value mileage programs over fixed-rate programs. Variable Mile Values Complicate Planning and Budgeting. Since traditional miles’ values vary by date, route, demand, redemption type, and other factors, it’s very difficult to assign miles a precise redemption value at any given time. Accordingly, it takes some calculating to determine the best way to redeem your miles on any given flight or trip. For each potential redemption, you need to ask yourself whether you should redeem for economy airfare, class upgrade, or airport lounge membership, or transfer to another rewards program – or simply wait to redeem at a later date. Blackout Dates Can Impact Travel Plans. Many airlines (though not all airlines) black out large chunks of their total seat capacity. Blackout dates are especially common at peak travel times, such as major holidays. If you absolutely need to travel on a certain day, such as the day before Thanksgiving, your preferred airline may prevent you from using your miles to buy your ticket. Some Programs Have Geographical Restrictions. Most airlines have, at most, a handful of major hubs through which they route many of their flights. For instance, United’s major hub is Chicago, while Delta has three key U.S. hubs: Atlanta, Minneapolis-St. Paul, and Detroit. This arrangement is inconvenient for travelers who don’t live near hubs – what good are your miles if you can’t redeem them for award travel to and from your home base? Geographical restrictions are particularly onerous for loyalty programs that don’t belong to any of the three major alliances. Most U.S. budget airlines, including Frontier (hubbed in Denver) and Spirit (hubbed in South Florida and Detroit), lack alliance ties. Most Affiliated Credit Cards Have Annual Fees. Airline rewards credit cards boost mile-earning efforts – for a price. Most branded rewards cards come with annual fees of anywhere from $75 to more than $400. Higher-priced cards typically confer high-end benefits (such as airport lounge memberships) that appeal to frequent travelers, while lower-end cards eschew high-cost benefits, and are thus more appropriate and affordable for occasional travelers. It’s rarely prudent to pay for a rewards card unless you spend enough to offset its cost through award travel. Taxes, Surcharges, and Fees Can Add to Cost of Award Travel. It’s misleading to say that traditional loyalty miles can be redeemed for “free” airfare. Every ticket you purchase comes with extra taxes, surcharges, and fees, all of which must be paid in cash. These fees vary widely by flight distance and carrier – from as little as $10 or $20 per domestic one-way, to many hundreds of dollars for overseas flights with carriers such as British Airways or Qantas. The other major miles-based rewards program type assigns fixed value to miles, without regard to how, when, or where they’re redeemed. With a handful of notable exceptions, fixed-rate miles programs tend to be associated with credit card issuers or banks, not specific airline brands or alliances. Fixed-rate programs also tend to be more straightforward than traditional programs, and it’s usually possible to redeem fixed-rate miles for a wider range of travel types than branded/traditional miles. However, there are still plenty of limitations and drawbacks to keep in mind, particularly with the handful of fixed-rate programs tied to specific airlines. Many fixed-rate loyalty programs are based around credit cards or banks, and those based around a particular brand typically have at least one associated credit card – for instance, the Southwest Airlines Rapid Rewards Visa credit card (which comes in three different iterations: Premier, Premier for Business, and Plus, each of which have different terms and point earning rates) for Southwest’s Rapid Rewards program. Some fixed-rate loyalty cards earn miles at flat rates, regardless of purchase type. For example, Capital One Venture Rewards Credit Card earns a flat two No Hassle Miles per $1 spent on all purchases. Other cards have tiered earning schemes that favor certain spending categories – for example, the Southwest Airlines Rapid Rewards Premier credit card earns 2 points per $1 spent on airline and certain hotel and car rental purchases, and 1 point per $1 spent on everything else. Brand-specific fixed-rate loyalty programs (such as Southwest Airlines Rapid Rewards and JetBlue TrueBlue) earn points for direct airfare purchases. These earnings generally accrue at flat rates – for instance, TrueBlue earns at least 3 miles per $1 spent on airfare, depending on your loyalty tier and purchase method. Importantly, you can often boost your earning power with a card – for instance, whereas JetBlue TrueBlue rewards at least 3 miles per $1 spent on airfare, The JetBlue Card (a Mastercard credit card issued by Barclaycard) earns an additional 3 miles per $1 spent on airfare, boosting total airfare earnings to 6 points per $1 spent. Compared with traditional rewards programs, it’s usually much easier – and much less confusing – to redeem fixed-rate miles. The biggest difference is that miles are always worth the same amount at redemption – usually around $0.01, though some programs assign higher or lower values. If there are any exceptions to the fixed-value rule, they tend to be simple and clearly indicated. For instance, when you use your accumulated Chase Sapphire Preferred miles (which are actually known as Chase Ultimate Rewards points) to make travel purchases through Chase’s Ultimate Rewards portal, you get a 25% discount – boosting your points’ effective redemption value to $0.0125. Fixed-rate redemption methods tend to be more flexible and buyer-friendly too. In many cases, particularly with credit card- or bank-based programs, you can simply redeem miles for statement credits to offset purchases that you’ve already made. Credit card- or bank-based programs typically allow you to redeem for all or most travel purchases – not just airfare, but hotel stays, car rentals, local transportation, and more. When you redeem for an airfare (or other travel) purchase online or by phone, you generally don’t have to deal with blackout dates or seat restrictions. Instead, you simply pay more for better seats (if available) or high-demand dates and times, relative to the cost of less desirable seats or slower times. And when you do redeem for purchases, the miles requirement is directly proportional to the item’s value – for instance, a ticket listed at $223.70 would require 22,370 miles valued at $0.01 apiece. Like their traditional counterparts, some fixed-rate programs allow you to transfer your miles to other airline, hotel, car rental, and general loyalty programs. This is useful if you think you can get a better redemption deal with another program. For instance, by converting Chase Ultimate Rewards points earned on your Sapphire Preferred card into British Airways Avios (BA’s airline loyalty currency), you can boost your potential redemption value from at most $0.0125 per point to well upwards of $0.04 per mile, assuming a favorable redemption value on an international business or first class fare. As with traditional loyalty programs, conversion ratios vary widely and are sometimes very participant-unfriendly, so be sure to check with your loyalty program before making any switches. Often Redeemable for a Wide Range of Travel Types. Fixed-rate rewards programs usually allow participants to redeem for a wider range of travel purchases – not just hotel stays, car rentals, and other forms of ground transportation, but also incidental expenses such as baggage fees and in-flight meals. This is a useful benefit for travelers who don’t always fly to their destinations, and thus don’t always have the opportunity to redeem for award airfare. Fixed Mile Values Make Budgeting Easier. It’s much easier to budget for a trip when you know exactly what your miles cover. If you have 20,000 miles redemption-valued at $0.01 apiece and choose to redeem them all on your next trip, you know you’re going to save $200. There’s no suspense around calculating the actual redemption value of traditional miles, and possibly coming up short on your trip budget as a result. Many Credit Cards Have Annual Fees. Though many fixed-rate loyalty credit cards don’t have annual fees, such as Discover it Miles, many do. For example, Chase Sapphire Preferred charges an annual fee of $95. Redemption Values Can Be Lower. Fixed-rate mile redemption values are often – though not always – lower than the redemption value of traditional miles. The difference is most noticeable on longer flights, in higher fare classes, and with fixed-rate rewards programs without good point transfer options (and, therefore, few opportunities to boost mile values by transferring to partners with higher redemption values). One particularly egregious example of the divergence between fixed-rate and traditional programs, courtesy of One Mile at a Time: Cathay Pacific’s first-class, round-trip New York-to-Hong Kong itinerary costs more than $28,000 cash, 135,000 American Airlines AAdvantage (a Cathay Pacific partner) miles, or roughly 2.8 million Capital One No Hassle Miles. In other words, the AAdvantage miles are worth more than 20 times the Capital One miles in this specific situation. Of course, there’s no rule against using traditional and fixed-rate rewards as circumstances allow. If you travel often and in lots of different situations (international business trips, trips to see family, pleasure trips to popular vacation destinations, and so on), consider joining at least one traditional and one fixed-rate program to capitalize on the differing capabilities and strengths of each. This is a basic overview of the ins and outs of miles-based travel rewards – a guiding light to help you investigate the best rewards programs for your personal or business needs. Although it offers some rough hints at how to get the most out of your miles, it doesn’t really touch on the intricate and potentially savings-rich world of “travel hacking” – gaming branded/traditional miles-based rewards programs to squeeze the most value out of each mile. If you travel constantly, it’s worth your while to devote considerable time and energy to becoming a travel rewards expert. Remember, free flights don’t just save you hundreds or even thousands of dollars at a time – they open your world and expose you to beautiful experiences you could never have at home. Saving money is a whole lot sweeter when you get a lifetime of amazing memories in return. Do you belong to a travel rewards program? What’s your favorite (or least favorite) thing about it?